I’d like to introduce a new word to the lexicon: quacktivist. A quacktivist is a person who proselytizes demonstrably false medical claims with cult-like intensity. The anti-vax folks are quacktivists by definition. Jenny McCarthy is a quacktivist and so is Joe Mercola. Andrew Wakefield is a quacktivist extraordinaire. Natural childbirth is promoted by its own band of quactivists such as Amy Romano, Barbara Harper and even Henci Goer. There are entire organizations devoted to natural childbirth quactivism like Lamaze and ICAN (the International Cesarean Awareness Network). How do you recognize quactivists? 1. The natural habitat of a quacktivist is her own blog or book. 3. Quacktivists invite visitors to their natural habitats, but protect themselves from potentially devastating facts by deleting and banning any commentors who dare to question the quactivist cult. 4. Quacktivists are relentless self promoters. Live blogging your own homebirth, like the Feminist Breeder just did, is a classic quacktivist move. 5. Ignorance is the main nutrition source for quacktivists. They generally lack even the most basic information on science, statistics, immunology or obstetrics. 6. Quacktivists love “bibliography salad.” That’s a mishmash of scientific citations (often copied from a website or book) that the quacktivist has never read, couldn’t understand if she did read it, and doesn’t say what she thinks it says. 7. Quacktivists have a highly evolved defense mechanism. They are evidence-resistant. Show quacktivists that vaccines have dramatically reduced death and disease and they dismiss it out of hand. Explain and demonstrate that death is a natural part of childbirth and natural childbirth quacktivists question your sources. Point out that their arguments are riddled with logical fallacies and quacktivists have no idea what you are talking about. 9. Natural childbirth quacktivists are very needy. They hold “conferences” that are nothing more than echo chambers because they need to have their beliefs reinforced by others and cannot tolerate questioning or disagreement. 10. Natural childbirth quactivists have a further defining feature. They spend an inordinate amount of time being ostentatiously “sad” for those who don’t believe in natural childbirth quacktivism. That’s not surprisingly, really, when you consider that self-glorification is an intrinsic part of quacktivism of all kinds. Quacktivists believe they are in possession of special knowledge that is being hidden by grand conspiracies involving virtually everyone else on the planet. How do the rest of us protect ourselves against quacktivists? The best defense is knowledge, the real kind that is a product of college and graduate education, not the pseudo-knowledge found on websites and beloved of every quacktivist. Keep an eye open for the defining signs of quacktivism. Does the “expert” refuse to leave her website except to go to “conferences” of like minded believers? Does she delete comments because they challenge her claims? Does she offer “bibliography salad” to support her claims? Is she “sad” that everyone else is not like her? If the answer to these question is “yes,” you know you are dealing with a quacktivist. NOT EVEN A BIT FUNNY ARTICLE, LOOKS RIDICULOUS AND CHILDISH, especially considering the author is Dr. …………………………rabbish!!!!!!!!!! I totally agree. The worse danger to womens freedom and health are those “experts” who always “know everything” prescribe “immunizations” so the medical companies are making tons of money of always sick babies and teenagers. We are aware of the dangers of vaccinations and we choose not to vaccinate not because we are “ignorant” or because we don’t believe in knowledge. But because we have the Knowledge that “experts” are promoting money interests on the health of our beloved children. We have the knowledge that experts are not to be trusted because they don’t care about children. Just their pockets and their ego promotion and nothing else. The health of our children come third for them. Yet nobody knows better than us what is good for our children. Neither experts or doctors or any other wisemen – you name it. Sweet baby Jesus, this is by far the best comment I’ve seen on this blog. I’ve been reading the comments of those about their “fields of expertise” and they are very childish when they don’t get taken seriously. These people Google search and think they know something you don’t , ignoring the fact you are a REAL DOCTOR. They are certainly narcissistic OR dumb as WOOD. AMY Is helping to educate people so they wont start playing guinea pig with their hapless children. Thankyou Amy. Quackery subscribers feel they’re being attacked but its called an open dialogue. You are NOT DOCTORS !! . Not close. THATS IS REALITY. Let’s not pretend that just because a person has a degree and the words MD after their name that they are Gods. Doctors know a lot and we SHOULD be able to trust them. We SHOULD also gather information from a variety of reliable sources. However, as soon as a Dr. uses name calling or has a cocky attitude about what they “know” I drop them as reliable sources. Our first pediatrician was supposed to be “the best” and he was so stuck up with himself and his superiority complex that he missed a serious condition with my daughter. She was born with a malrotated intestine which caused it to twist and block at 8 months. The first day she was born she spit up a lot of green bile and I was worried, but the pediatrician ordered her stomach pumped and said she was fine. (Once I knew her condition, a “google search” that you claim cannot offer reliable information brought me to several medical documents that stated a newborn spitting up green bile should be assumed to have a malrotation until proven otherwise). She never ate well and projectile vomited all the time. I brought her in week after week to the dr. and he literally rolled his eyes at me and said that she “probably just has a light case of GERD.” So they changed her formula time after time. I just had a sense that something was wrong, but I decided not to pursue that sense because here was a doctor telling me that I was just being an oversensitive first time mother. When the blockage happened we took her to a different doctor and she was airlifted to a children’s hospital to undergo surgery. According to the surgeon, she was just hours away from losing part of her bowel. Thankfully everything worked out in the end. I don’t expect doctors to catch everything, but I no longer go to doctors who have a superiority complex. I especially am not going to listen to a doctor who feels the need to name call. If you want to educate people and share your knowledge, then be respectful and surely more people will listen. I think that Dr. Amy has a noble cause, but is going about it in the wrong manner. Oooooh, rude as well as stupid! 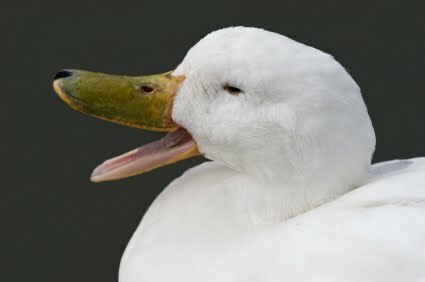 Quack, from quack salver, hawker of salve. Nothing to do with quicksilver. Pathology, from Greek, study of feelings/suffering. Woobuster, you ignorant twit, did you forget to switch on your puny brain that day seven months ago?